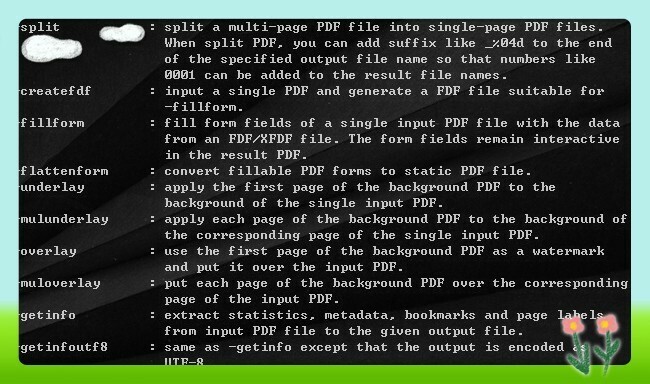 VeryPDF PDF Splitting Tool Shell for Linux is a very powerful and helpful application which can split large PDF files into small PDF. With PDF Splitting Tool, you can split a multi-page PDF file to single-page PDF files, split the specified pages from a PDF file into a PDF file, and split a PDF file to multiple PDF files by bookmarks. Moreover, this application has more functions and options. 1. Support terminal command operations. 2. Extract and remove pages from PDF. 3. Merge multiple PDF to one. 4. Restore content from damaged PDF. 5. Use FDF file to fill PDF form. 6. Use image in PDF to add watermark and stamp to PDF. 7. Extract and compact PDF description. 8. Attach or detach PDF attachment. 9. Compress stream objects of PDF. 10. Remove known PDF password. 11. Support three versions for Windows, Mac OS X, and Linux.